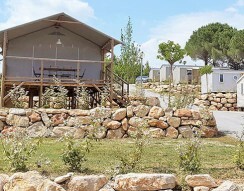 Relive your childhood in an unspoilt country setting and enjoy the pleasures of a real camping holiday in a warm and cosy wood cabin. 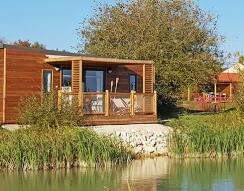 Ideal for a romantic break or a family holiday, they offer a real chance to get back to nature. 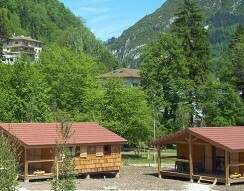 Try also camping in a tree house or in a wooden cabin on the water or simply on terra firma for a unique and unusual camping experience. 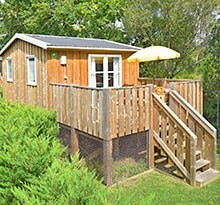 We how have a little 6m² wooden cabin that sleeps two. 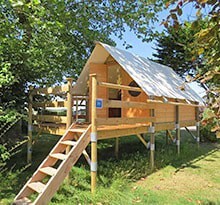 This unusual accommodation is warm and cosy with heating, lighting, mattresses, cushions and blankets. And if you fancy taking breakfast in the sun, it also has its own private little terrace complete with table and two chairs. 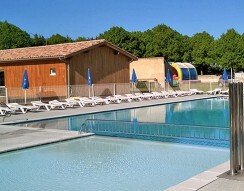 Don’t miss out on the charms of this unique and unusual accommodation. 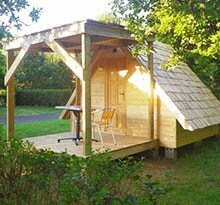 If you fancy camping but don’t want to do without your creative comforts, this unusual accommodation is made for you! It comprises a bedroom with a 140cm double bed and a covered terrace complete with table and chairs so you can enjoy eating al fresco. With an eco-friendly design, this wooden cabin features solar panels on the roof so you can be sure the energy you use isn’t damaging the environment. What better way to spend an unusual night close to nature? This wood and canvas cabin on stilts promises an original and memorable camping experience. Measuring 8m² with a double bed, bedside table and shelves, it also has a 4m² terrace with table and two chairs where you can eat. Try this unique wooden cabin for an unusual camping experience you’ll never forget. 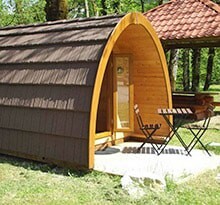 This accommodation offers the freedom of a tent with all the advantages of a wooden cabin for an unusual night’s camping. 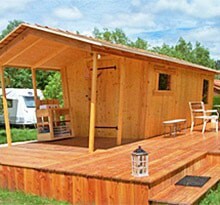 The insulated 21m² wooden cabin contains a double bed and a pull-out bed for two, a kitchen with gas stove, fridge, crockery, cutlery, a table and four chairs. 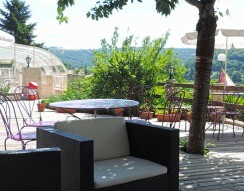 Enjoy its superb 30m² terrace complete with deckchairs and river view. 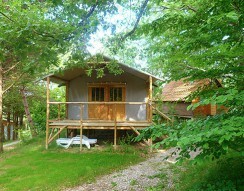 Get back to nature in our unusual camping accommodation – rustic atmosphere guaranteed! 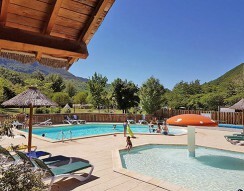 Located at the entrance to the Verdon Regional Natural Park, the site offers a haven of Provencal peace disturbed only by the sound of cicadas. 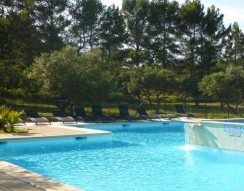 The scent of lavender and thyme and all the delights of Provence in the Lubéron natural park. 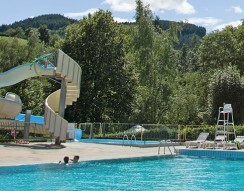 A host of activities for all the family with music and dancing every night during the summer.